This stand is specifically for the KettleBlock" 20 and KettleBlock" 40. It has a foot print of 21" x 23" and a height of 13.5". Has PowerBlock Urethane logo. 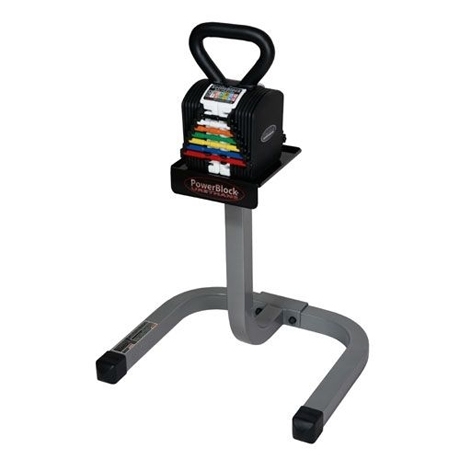 It provides a convenient, attractive storage/racking system for your KettleBlock"